With a nasty knot, this was asking way too much of the SFA. I'll be honest, the cute little Small Forest Axe wasn't really going to impress the likes of this guy, someone who considers a 3lb head on a 28 inch handle to be a small axe. In spite of all the hype, I just couldn't picture myself being surprised by the capabilities of the Gransfors. 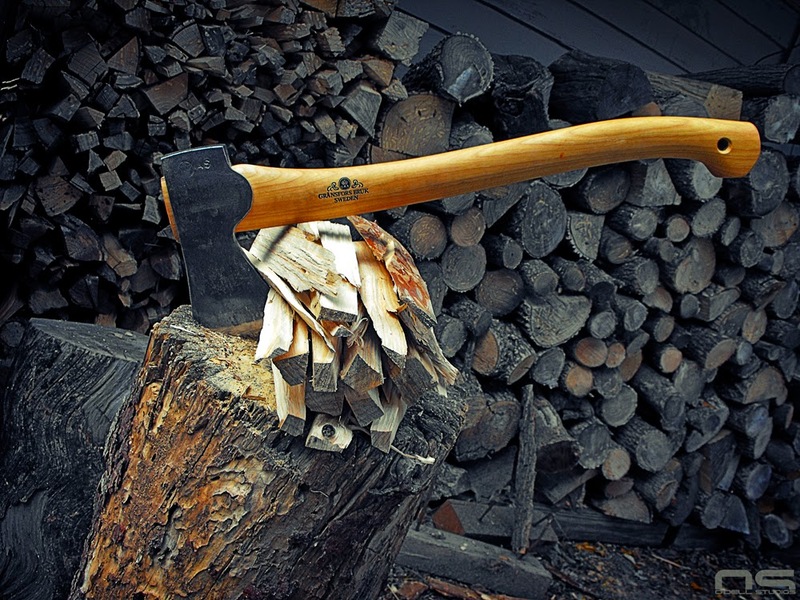 It's a hatchet with a long-for-weight handle. In fact, with no cheeks whatsoever it's sort of a tomahawk with a poll someone mistakenly fit with an axe handle and marketed as some "traditional" Swedish woods tool. 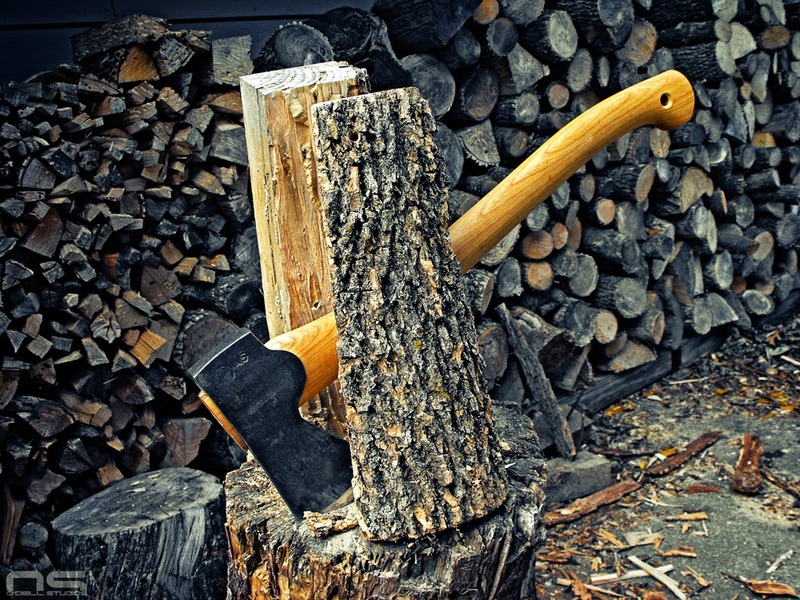 In case you weren't aware, Gransfors makes American poll axes and their appearance is an evolution from American poll axes in order to differentiate them from American poll axes - there is nothing traditional Swedish about them. 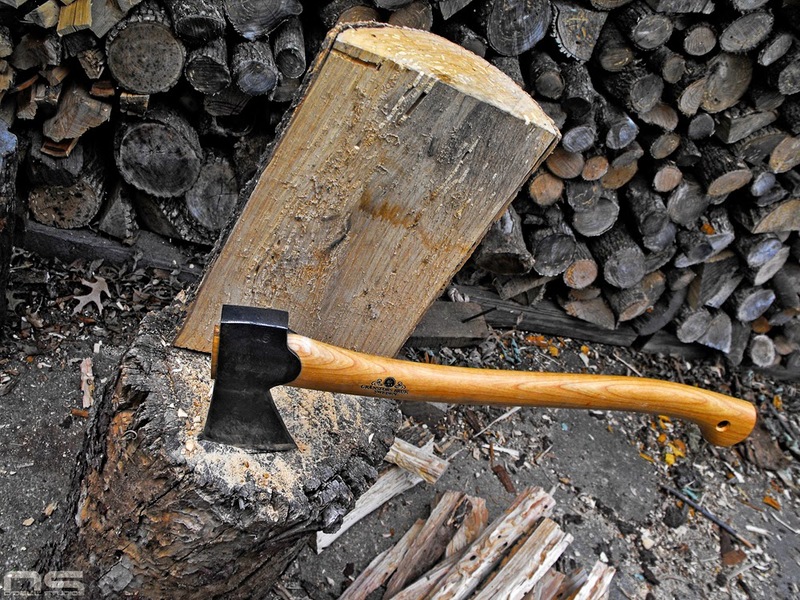 Furthermore, and all to often, a youtube video comes across my desk with some master woodsman chopping down a tree with a Small Forest Axe demonstrating more accurately the folklore surrounding the tool than its actual capabilities. Eventually legend surpasses reality and it gets mighty difficult for me to desire something when choked by the rose colored fog of pixie dust bellowing from it. And yet, it powered through. Another hangup for me is how they are routinely touted as the best, the best, the best. It's not necessarily that they aren't the best, but I can easily get my hands on axes that are just as good if not better any day of the week for about $40 and made in the USA. Of course I'm talking about vintage axes. I can't argue that GB aren't the best, or among the best made today, but I have to wonder if those exclaiming their superiority are aware of America's axe history, or the quality of countless forged axes rusting away in junk shops. But that was the easy side. Anymore would have been abuse. The Gransfors Bruk axes aren't cheap but in all honestly, they aren't terribly expensive either, depending I suppose, on how you calculate value relative to the price of things today. I guess when I think of something that is essentially hand crafted and made specifically to be of high quality, the price of a Small Forest Axe isn't really all that high to me. 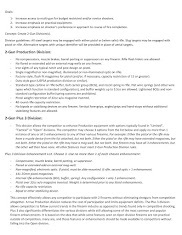 In the realm of high quality cutting tools $100 is more or less the starting point, even for tools that will never do as much work as the SFA, and never could. So I guess the price doesn't particularly turn me off from them. 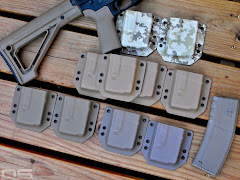 Price immediately turns me off from products like those from Best Made. Cutesie branding schemes on products made by someone else just make me want to avoid the product entirely, and in the case of Best Made, the name itself suggests so much arrogance that the effect is multiplied. It seems to me that at the very least they should be made by the people claiming they are the best. There is just one problem with all my assumptions and poking fun; here I am with my very own Gransfors Bruk Small Forest Axe. What's more, it's pretty much as excellent as everyone says it is. It is an intelligent balance of chopping and splitting features for its size and purpose. More importantly, it will do a lot more work than its stature would suggest. With craftsmanship, quality and good looks all mixed together, you basically can't go wrong. 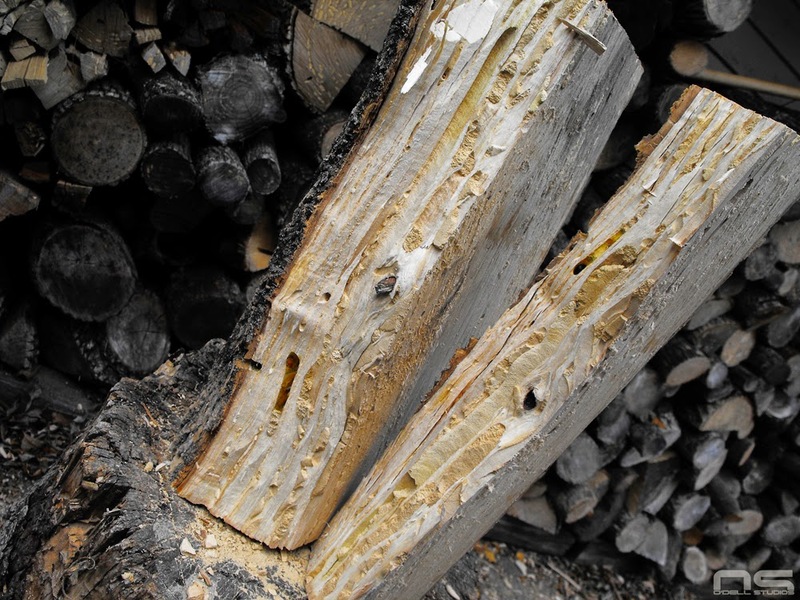 For this splitting test, the Gransfors showed that it can take a licking, and put down some hurt. We jump up in weight another 8 ounces from the E-nep, this time to 2lbs 2oz. I didn't actually plan to make an 8 ounce jump with each tool, but it's interesting that it worked out like that. 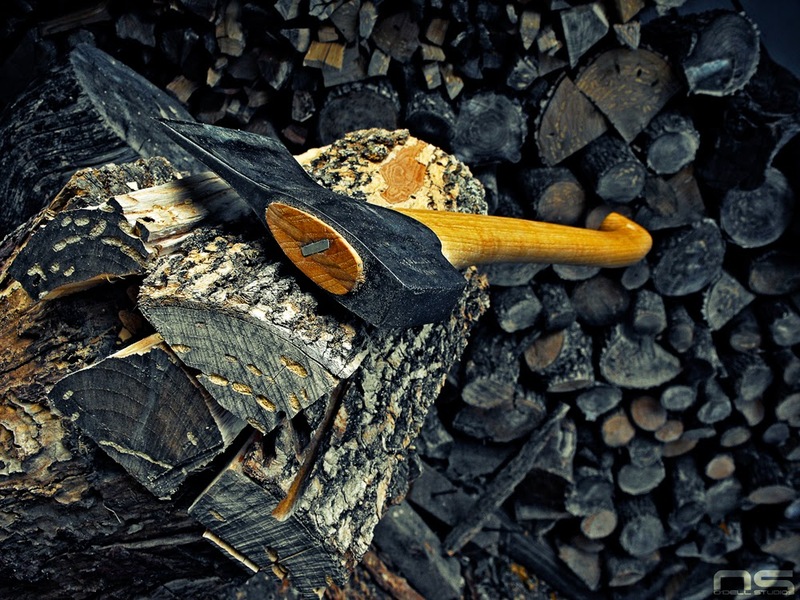 At any rate, in the case of an axe, that weight is concentrated at the head which certainly changes the game. Despite the cheekless, knife-like bit, the splitting power gets a significant boost from the somewhat abrupt widening at the eye. One of my few complaints of the Small Forest Axe is in fact the abrupt transition from the bit to the eye. Wood tends to want to follow the bit, then, as it meets the wider portion of the head, glance upward and off the head. It's not terribly annoying, technique tweaking alleviates it for the most part, and the SFA is a balancing act, jack of all trades sort of tool. However, I don't think a little cheek behind the bit would hurt performance in regard to any of those trades. And anyway, who doesn't like a little cheek? I have no idea what that means. Bottom line? 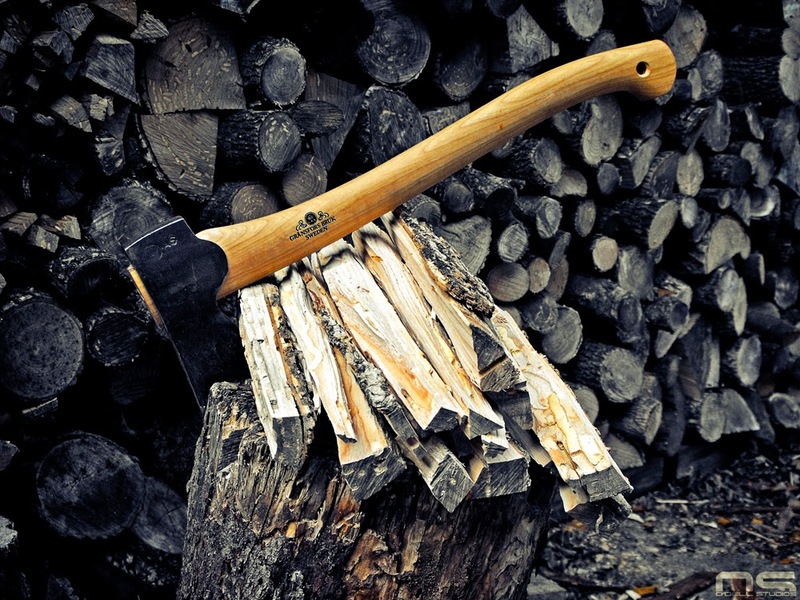 The Small Forest Axe is a great product, no question about it. It will split much more stubborn wood than I thought it would, it does a really nice job hewing, and it has the exact balance needed for one handed use. My only other complaint is that the swell actually doesn't work great for me. It turns in too abruptly and tends to rub the pinky on my left hand, but it's minor. 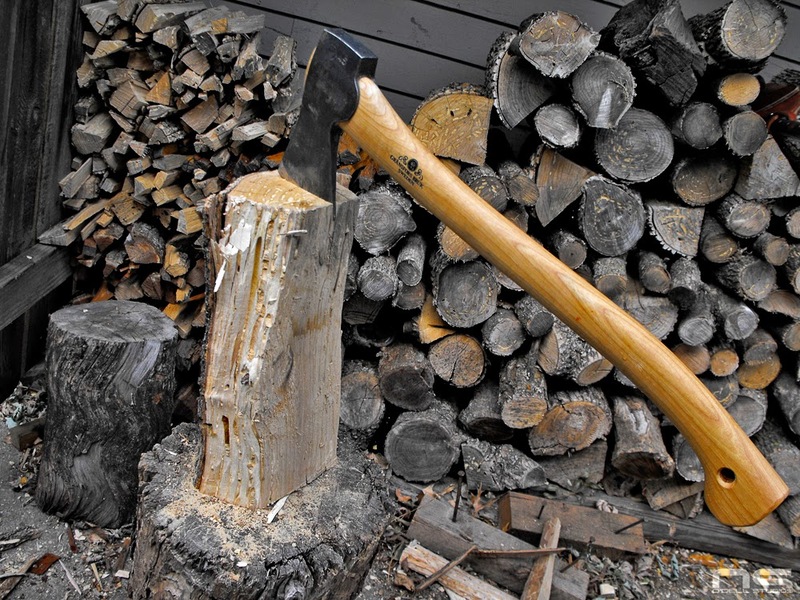 The Small Forest Axe splitting, and doing it like a boss. Here the SFA shows that it's ready to take on serious work. Would I want to do this all day long? No, but it is certainly a testament to its inherent power and versatility. The chunk from the image above, reduced to fuel sized pieces. Fuel sized pieces from the image above, reduced even further.